Banner for email below - Download the verse by right clicking on the picture and choosing save picture as and save it to your computer. 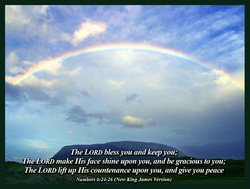 The Lord lift up His [approving] countenance upon you and give you peace (tranquility of heart and life continually). The Lord will bless you and watch over you. The Lord will smile on you and be kind to you. The Lord will look on you with favor and give you peace. 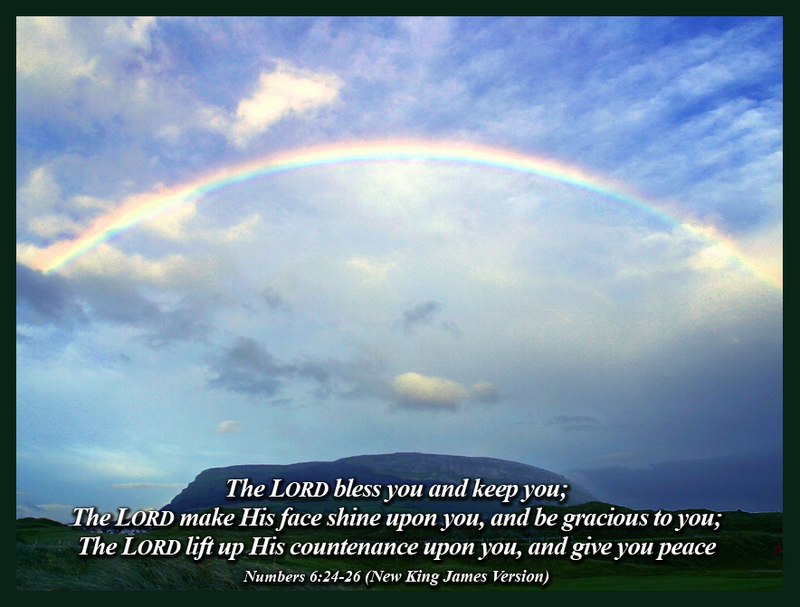 May the Lord bring good to you and keep you. 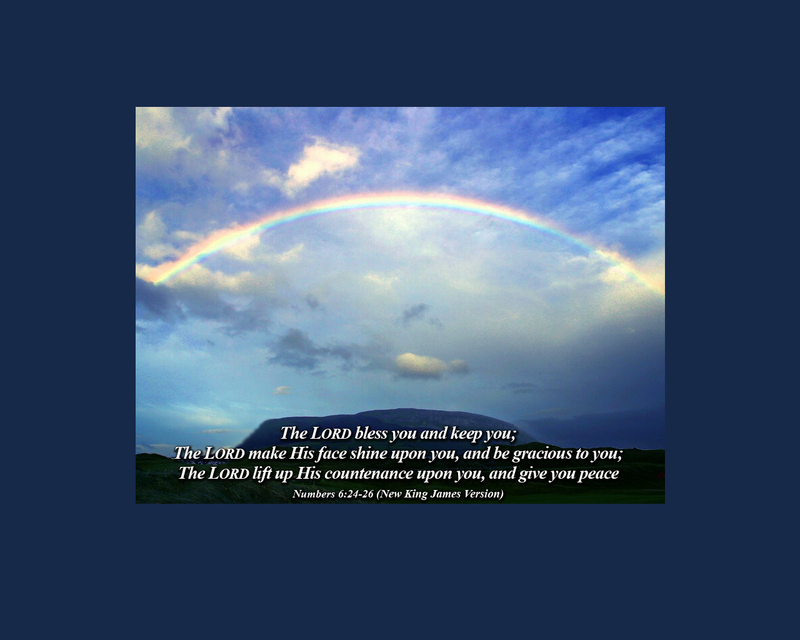 May the Lord make His face shine upon you, and be kind to you. May the Lord show favor toward you, and give you peace. May the Lord bless you and take good care of you. May the Lord look on you with favor and give you his peace..